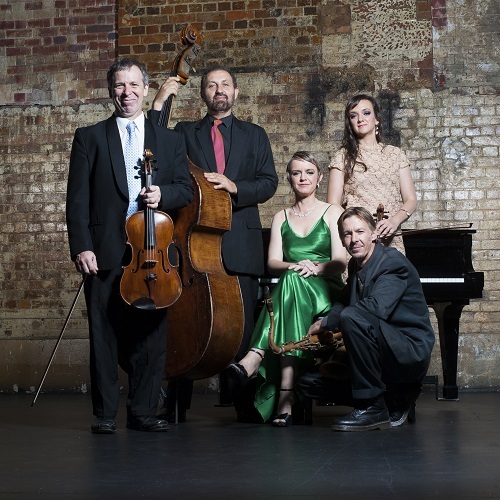 Packing an illustrious 20 years as one of Queensland’s finest classical quintets, ARIA nominated Topology have become a staple sound of their hometown in Brisbane. In their most recent endeavours Topology have teamed up with the Queensland State Library to create ‘Queensland at Home’ a time capsule of vintage film accompanied by a live original score performed by the band to paint an evocative portrait of life in Queensland dating back to the early 20th Century. Set to tour 'Queensland at Home' across 42 towns throughout 34 local government areas, the work features an original score by Topology's Robert Davidson inspired by the sights and sounds of times past and a compelling compilation of Queenslanders engaging in everyday activities. An original track composed by Robert Davidson for Topology's 'Queensland at Home' project - A time capsule of vintage film from the State Library of Queensland accompanied by a live original score performed by Topology. 'Circling' accompanies images of people of Qld in the 1920s and 1930s swimming in creeks, playing with medicine balls on the beach, running and jumping.